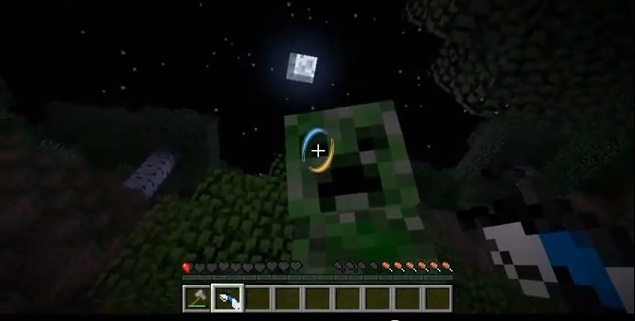 PORTAL GUN Mod for Minecraft is one of the exciting and fun-to-play with mod for Minecraft. It is inspired from Valve video-game series Portal in which you are given a gun that can create doors, allowing you to teleport one place to another. Portal Gun mod brings the same functionality in your Minecraft by bringing the magical portal gun! 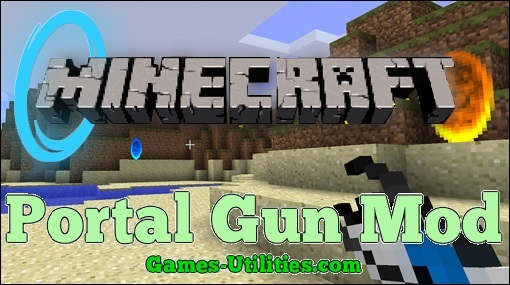 Description: A custom mod which provides a gun in Minecraft. Compatible: Minecraft Forge on Windows, Mac and Linux. iChun Utilities are required Library files to make the mod function. Download the zip file and put it in ./minecraft/mods folder. If you want to change a setting (eg: a block id), go to /config/ and open “PortalGun.cfg” with your favourite text editor. Drop the zip in the /mods/ folder of the server root folder and start the server. If you want to change a general setting (eg: a block id), go to /config/ and open “PortalGun.cfg” with your favourite text editor. If you want to change a gameplay setting (eg: turret targetting), go to your world folder and open “PortalGun_world.cfg” with your favourite text editor. This mod DOES NOT auto resolve Item ID issues, but uses Forge’s ID allocator for blocks. Please do check the config file, both of them, enough comments have been added for you to understand it. If you are having any trouble installing this mod, please post a comment below.